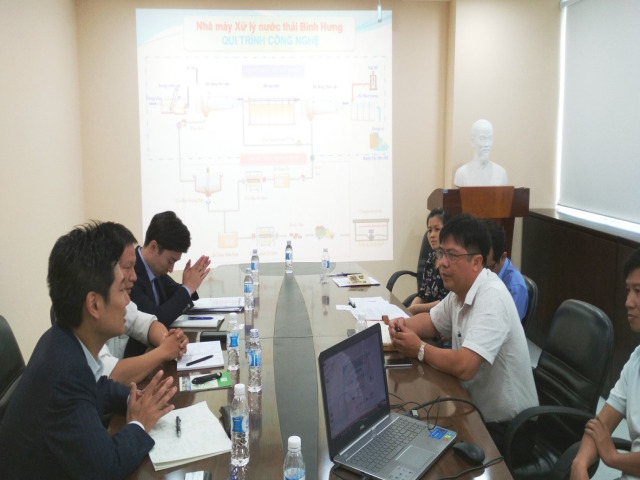 In the afternoon of July 27th 2018, Taiwan External Trade Development Council (TAITRA) led a Taiwan’s business delegation to visit Ho Chi Minh City Urban Drainage Company Limited (UDC) including: TAITRA (Taiwan's nonprofit organization assisting enterprises in trade promotion, investment and cooperation opportunities domestically and overseas), Hydron Innovation Inc., Shiftrewater Environmental Technology Business Co., Ltd., Sparkler Far East Ltd., Fountain Hitech Corporation, Zig Sheng Industrial Co., Ltd. and Industrial Technology Research Institute (these are enterprises in Taiwan specializing in manufacturing, producing and supplying equipment for treating waste, wastewater and purifying air). 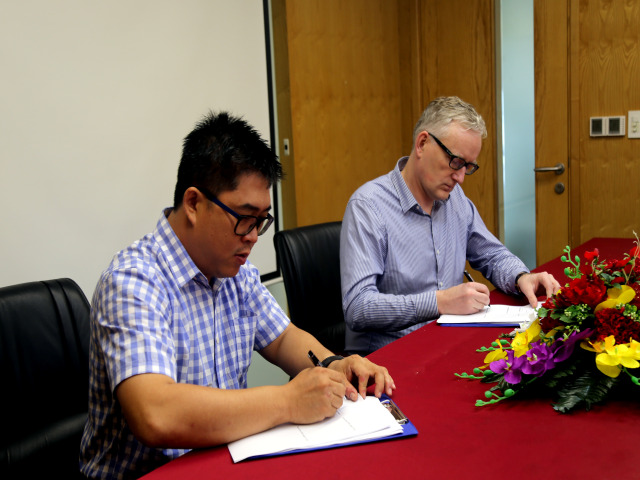 Mr. Lý Thọ Đắc – UDC’s Deputy Director represented UDC’s Board of Directors to meet with the Taiwan’s delegation. During the meeting, Taiwan’s delegation was introduced to, exchanged information of and found out about existing technologies in treating wastewater, sludge and waste of HCMC, which opens up opportunities for cooperation in the future.